Video to GIF Converter is a very powerful conversion tool for converting video files into animated GIF format. And at the same time, it also allows you to add more than 50 effects to your GIF animations. You can use this software to convert all or a part of the video. 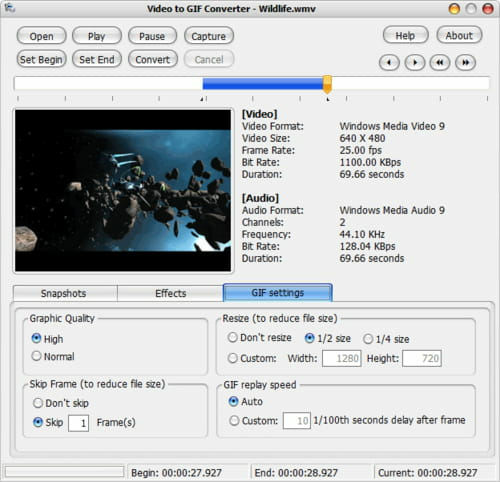 It has a very high conversion speed and can support several types of video formats: AVI, MPEG1, MPEG2 (NTSC/PAL options for DVD, VCD, SVCD), WMV, ASF and Quick Time formats. Latest update on November 20, 2016 at 05:10 PM.